An Invincible FJR, the Relentless Rider and the Yamaha Factory Tour! Not often a bike rolls over 200,000miles (320,000kilometres). Even rarer for all that riding to be under one rider. Similarly rare is a visit to the production line that pumped out the bike, especially when it’s a Yamaha FJR! 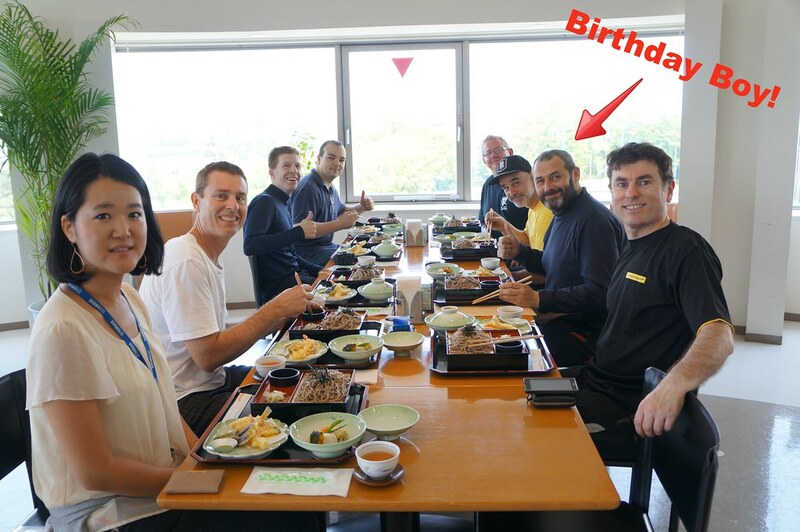 Being his birthday, only natural that James ought to have some friends there so a bunch of us met at Ebina SA on the Tomei Expressway at 7am for the ride down. 7am you say?! It’s only a few hours away, right? 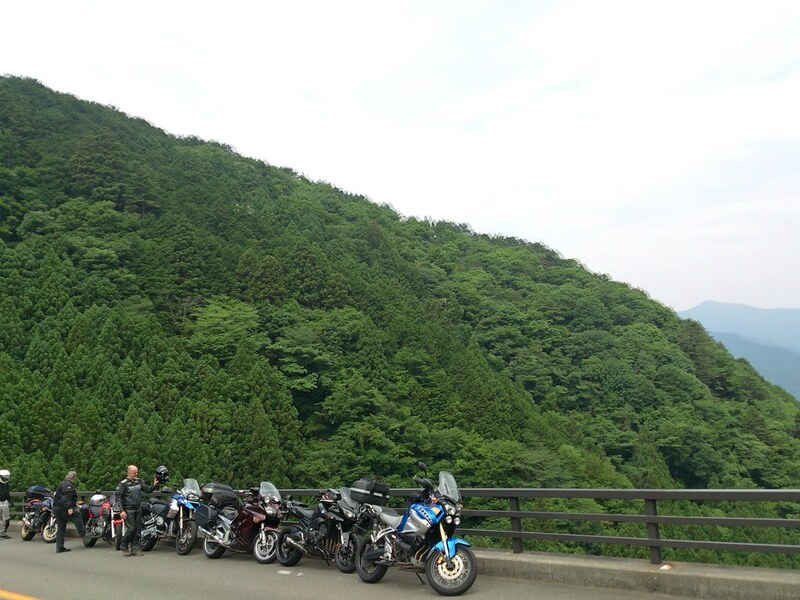 Well, there are some great roads down there in the Minami Alps of Shizuoka and it would be a waste not to take the fun way, right? So, that’s what we did. We sailed down the expressway to the south-east end of the Minami Alps and met up with a couple more of James’ friends from Yamanashi. Then we shot north for winding, twisting roads and great views. 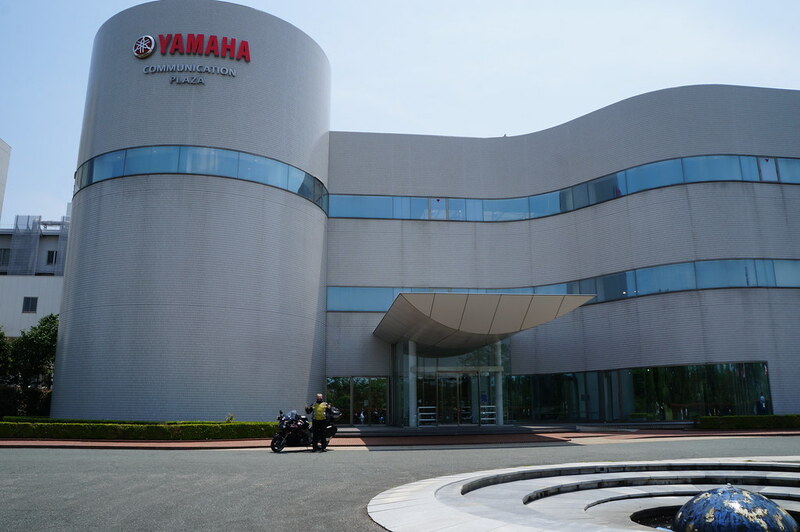 Then it was on to the Yamaha Communication Plaza for James to bring the FJR home. Mariko Saito greeted us with some of her friendly coworkers. There she is in white. Then it was inside for some lunch at the Yamaha Communication Plaza restaurant at the top of that big cylinder part of the building. We weren’t expecting anything special for lunch. We were really surprised to see the spread they had arranged for us. A long table and a great course of traditional Japanese food. Hadn’t noticed it on the way in but they’d raised flags out front in honour of our multinational group’s arrival. 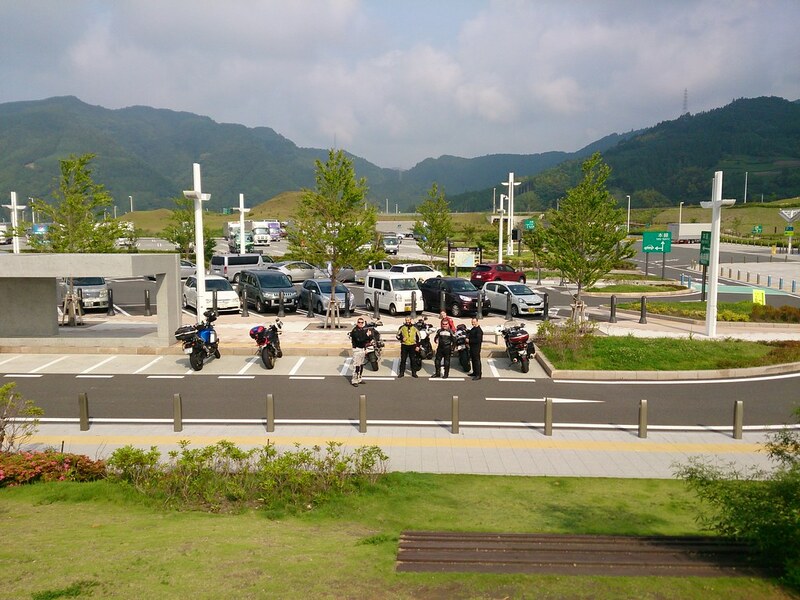 Went for look from the restaurant window and noticed a group of Yamaha staff milling around the bikes. And they were beckoning us down. 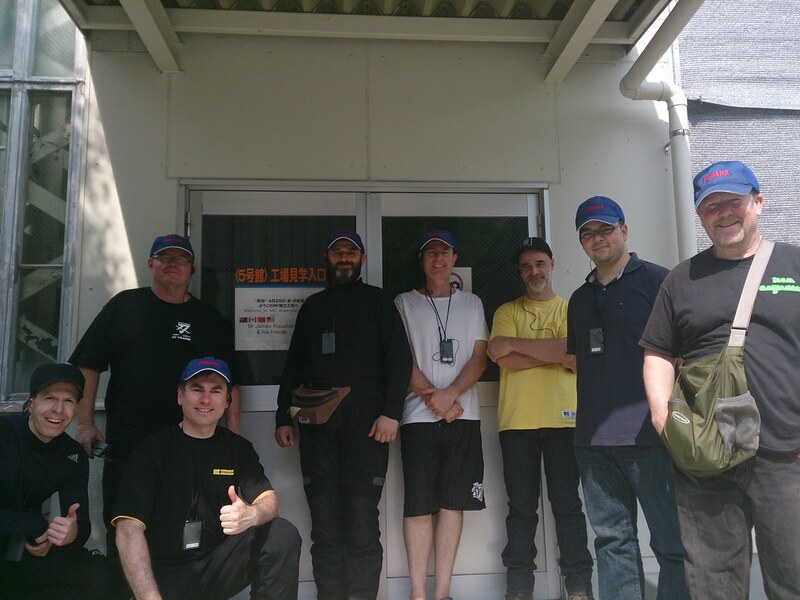 Lunch done, we went off to see who had come to meet James..
Got to meet a lot of great people from Yamaha. Asked a bunch of questions about our bikes and what they all did there. Plenty of smiles and warmth there from the crew that builds the bikes we choose to share our rides with. We headed back to check out the museum/exhibition space at our leisure. 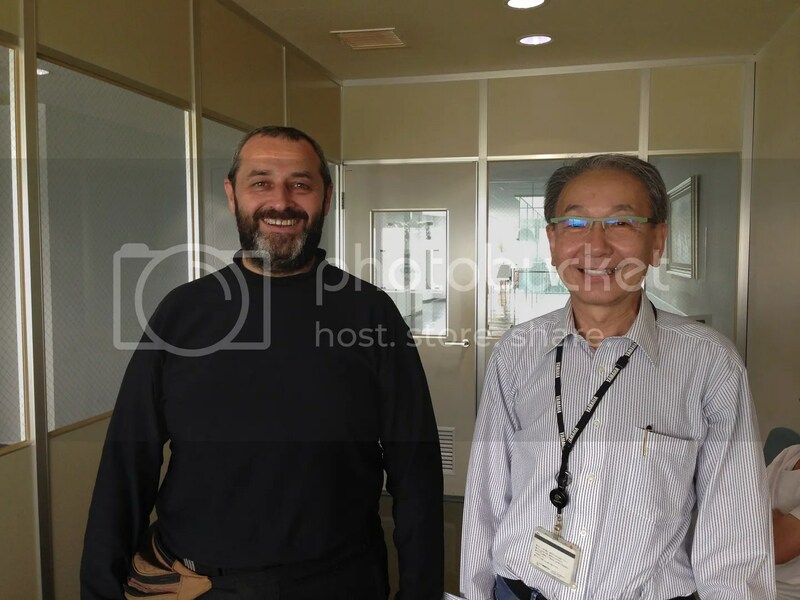 A few of us were lucky enough to meet Atsushi Ichijo of GK Dynamics, the father/designer of both generations of the V-max and many more of Yamaha’s best including James beloved FJR . He was a great guy who spent quite some time chatting with us and sharing bike stories. Yep, he’s a real rider, too. 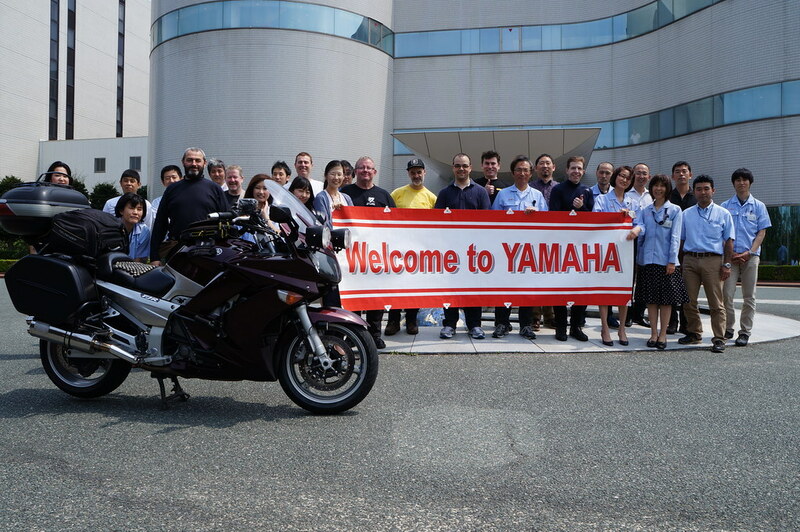 Thank you to Yamaha and Mariko Saito for all the effort in getting us and the Yamaha team together. It was an unforgettable day! 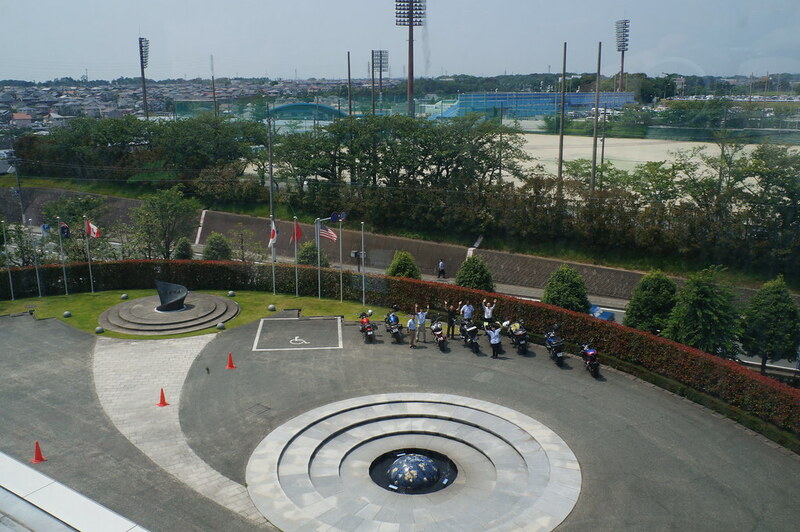 June 20, 2014 in Ride Reports. Honshu 4 Corners – another from the Bucket List! Great rider report Craig, as always. 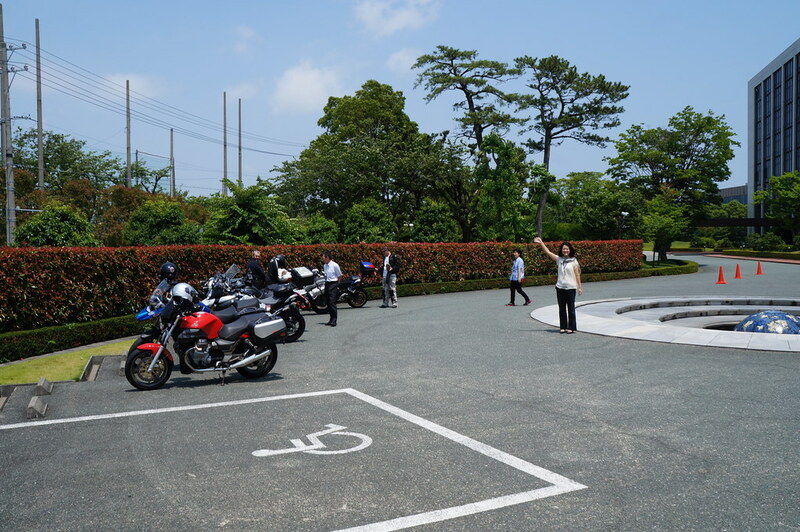 Thank you for the help in arranging this ride and visit. Great to be there J!